SDCC is only two months away, and news of our first batch of exclusives for the event are finally beginning to trickle out. 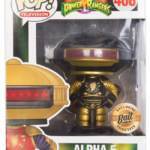 Our first offering comes from Funko Pop whom just revealed a black and gold variant of their Alpha 5 Funko Pop vinyl figurine. The SDCC 2018 Black and Gold Alpha 5 Funko Pop vinyl will be available at the BAIT Booth #5645 and in limited quantities of about 5,000 pieces. This year, SDCC will be taking place on July 19th 2018. Be sure to check on us and we’ll bring you all the exciting news that will come out from that event and more. Stop the presses because a comic book company has a comic book exclusive at a comic convention! Hidden amongst the throngs of fans that will undoubtedly stand in long lines for a chance at a valuable convention toy exclusive, BOOM! 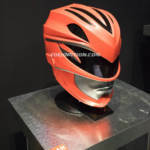 Studios – the makers of the beloved and critically acclaimed Mighty Morphin Power Rangers comic book series – have revealed their upcoming exclusives for San Diego Comic Con 2017! This four piece connected set that pays homage to the classic Jim Lee cover of the launch of the original second X-Men comic book series (titled “X-Men” instead of “Uncanny X-Men”) will be available in four different covers – Mighty Morphin Power Rangers #17, Go Go Power Rangers #1 (A), Go Go Power Rangers #1 (B), and the 2017 Mighty Morphin Power Rangers Annual. You can also purchase the gatefold version (all four connected together, physically) for a solid benjamin ($100). Each comic will cost $20 (so $80 to complete the 4 cover set or $180 to get everything total) and is available at the BOOM! Studios booth 2229 at San Diego Comic Con. Be sure to follow us here, on our Twitter and Instagram accounts, as well as on Facebook as we will be attending the show with live coverage all week and weekend long! Check out all the images by clicking the title of the story! Through CBR.com we have the five covers for Issue 13 of BOOM! 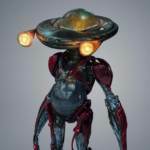 Studios Mighty Morphin Power Rangers as well as the synopsis of the story. The Power Rangers make a final push in to the Command Center to stop Rita Repulsa and her evil forces. But is it too late for Alpha 5 and Zordon? Click the title of the story to see all five covers of this issue. They look great! Alpha 5 has a more modern and organic look that uses darker hues of the familiar red and blue colors of the original design. SNL alum Bill Hader will be providing the voice for Alpha 5. The Emmy nominated actor also helped bring another robot to life as a vocal consultant for BB-8 on The Force Awakens. Hader joins Elizabeth Banks (as Rita Repulsa) and Bryan Cranston (as Zordon) in the film, which hits theaters on March 24, 2017. Given what we’ve now seen and found out about the 2017 Power Rangers Movie, just how excited are you for it, and for Alpha 5 himself? Please, let us know! Sound off in the comments below by clicking “Discuss on the TokuNation Forums” at the bottom of this post. 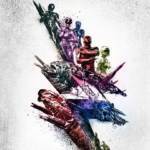 After a lovely new reveal of character posters yesterday, the Power Rangers Movie Instagram has just treated us to another tidbit from the upcoming 2017 Power Rangers Movie. 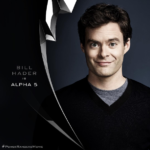 Saturday Night Live alum and always hilarious Bill Hader has joined the cast as Alpha 5! What are your thoughts on this latest bit of casting news? Be sure to sound off in the thread linked below and we’ll be sure to continue keeping you up to date with all of the latest news for the upcoming Power Rangers Movie. In theaters March 24th, 2017! All times are GMT -4. The time now is 7:24 AM.